By Pope Pius XI, Belloc was decorated with the Grand Cross of the Order of St. Gregory the Great in 1934 for his services to Catholicism as a writer. 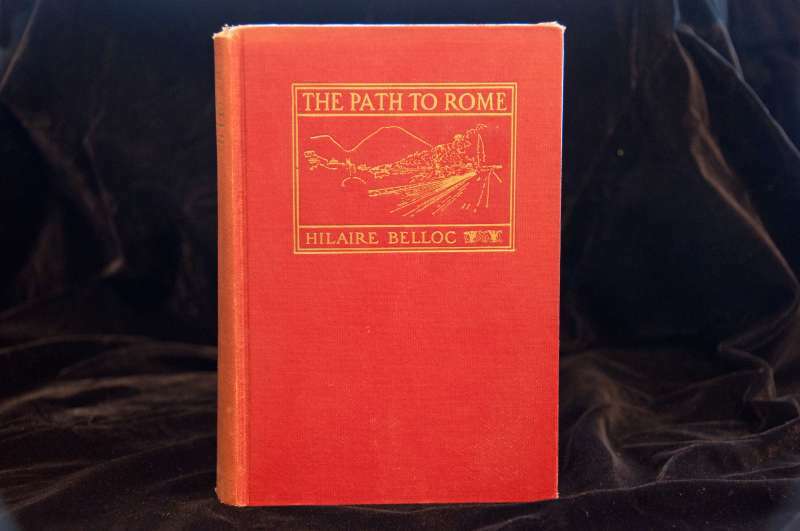 To Hilaire Belloc this generation owes a big glimpse of the Homeric spirit. His mission is to flay alive the humbugs and hypocrites and the pedants and to chant robust folk-songs to the naked stars of the English world to a rousing obligato of clinking flagons. 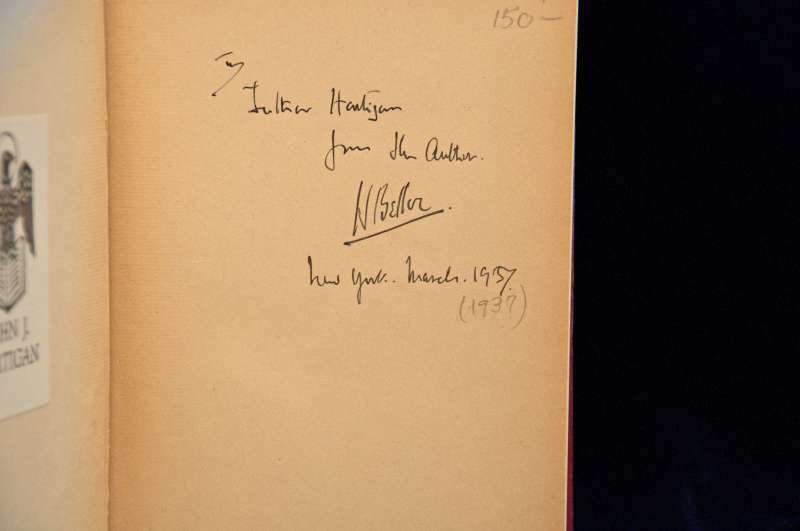 Hilaire Belloc, a lord of the English language, was not an Englishman by birth. His father was French, his mother was Irish; and when he married, his bride was an American. But he looked more like the traditional figure of John Bull than any Englishman could. He wore a stand-up collar several sizes too large for him. His rotund head was crowned with a black hat-sometimes tall, sometimes of the pancake variety. He was big and stocky and red of face and a typically British great-coat draped his beefy form except in the warmest weather. Hilaire Belloc was born at La Celle, near Paris, on July 27, 1870. His father, Louis Swanton Belloc, was well known as a barrister throughout France. Bessie Rayner Belloc, his mother, was of Irish extraction. Somewhere in his immediate background was an infusion of Pennsylvania Dutch blood. His mother, who lived into her nineties and died in 1914, was a remarkably intellectual woman, noted as one of the signers of the first petition ever presented for women’s suffrage. Her son studied at the Oratory School at Edgebaston, England, and at Balliol College, Oxford, where he matriculated in 1893. In his third year he was Blackenbury History Scholar and an honor student in the history schools. Between Oratory School and his matriculation at Oxford, Belloc served in the French Army, where as a driver in the Eighth Regiment of Artillery, he was stationed at Toul. It was from this spot that, years later, he was to set forth on the pilgrimage afoot to St. Peter’s that furnished material for the book that many critics consider his best, The Path to Rome. In 1903 Belloc became a British subject and in 1906 was returned to Parliament by the South Salford constituency. He was a member of the Liberal party in the brilliant House of Commons created by the Tory debacle of the preceding year. He made his maiden speech in the House early in 1906 and it won him an immediate reputation as a brilliant orator. He had already attracted considerable attention during his campaign. In the year of his return to Parliament he was also the nominee of the British Bishops to the Catholic Education Council. 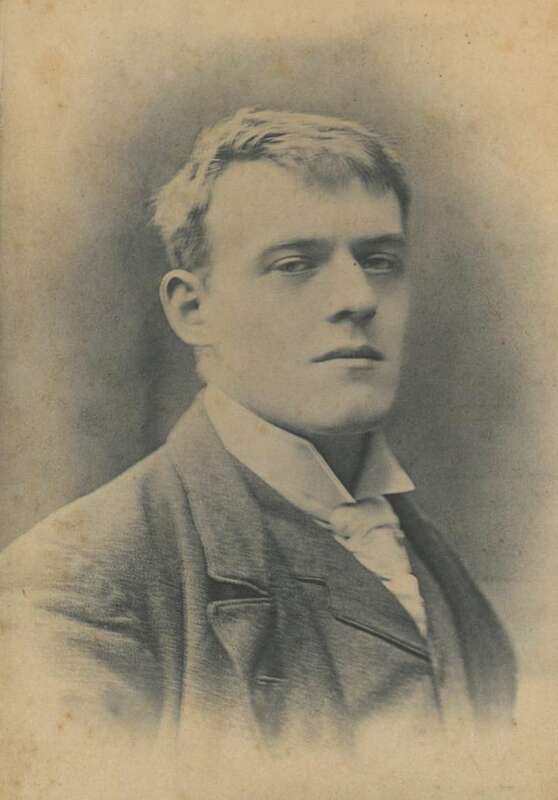 Belloc’s literary career began immediately after Balliol. He rapidly achieved success as a newspaper and magazine writer and as a light versifier. His first book, published in the year of his graduation, was Verses and Sonnets, and The Bad Child’s Book of Beasts, in which his reputation as a master of whimsy was fully established. Belloc sat in the House of Commons from 1906 to 1910, but refused to serve a second term because, in his own words, he was weary of the party system, and thought he could attack politics better from without Parliament than from within. From that time on he devoted his entire efforts to writing and lecturing. Belloc’s wife, the former Elodie Agnes Hogan of Napa, California, whom he married in 1896, died in 1914. He never remarried. His eldest son, Louis, was killed while serving as a flier in World War I, and his youngest, Peter, a captain of the Royal Marines, died during World War II. Belloc made his home with his elder daughter, Mrs. Eleanor Jebb, wife of a member of Parliament, in Horsham, Sussex. Besides Eleanor, he had another daughter, Elizabeth, a poet, as well as another son, Hilary, who lives in Canada. In the same year, his alma mater, Oxford, conferred upon him the honorary degree of Master of Arts. He shared with the then British Prime Minister, Sir Winston Churchill, the distinction of being the only persons to have their portraits hung in the National Portrait Gallery while they were alive. Mr. Belloc visited the United States on many occasions. In 1937 he served as a visiting Professor of History at the Graduate School of Fordham University in New York. From the matter of these lectures came his book, The Crisis of Civilization. A prolific writer, he was the author of 153 books of essays, fiction, history, biography, poetry and light verse as well as a vast amount of periodical literature. He was largely responsible for G. K. Chesterton’s conversion to Catholicism, and the two of them became ranked as not only among England’s greatest writers but as the most brilliant lay expounders of Catholic doctrine. The two were also close friends and frequent collaborators, especially on the magazine which came to be known as G. K’s. Weekly, and in which they came to wage many a valiant crusade together. As a critic noted: To Hilaire Belloc this generation owes big glimpses of the Homeric spirit. His mission is to flay alive the humbugs and hypocrites and the pedants and to chant robust folk-songs to the naked stars of the English world to a rousing obligato of clinking flagons. Because of his antagonism to many British sacred cows and his free and caustic criticism of them, he was not a wholly popular man in England. Nor did his espousal of the Franco cause against the Communists during the Spanish civil war add to his popularity there. But Belloc had never been a man to purchase popularity at the price of integrity. Just four days before his eighty-third birthday, while dozing before the fireplace in his daughter’s home, he fell into the flames and was so badly burned that he died in hospital at Guildford, Surrey, soon afterward on July 16, 1953. Despite his own prediction to the contrary, his place in English letters is forever secure, primarily as a poet and as the author of The Path to Rome. Papal Artifacts gratefully acknowledges Catholic Authors.com for their generous use of this biographical information.